Setapak High School (SHS), a national secondary school in Kuala Lumpur, holds the distinction of having an unusually large number of Sikh Students population. In the 1970s, it was not unusual to have at least 60 Sikh students in any single school year spread over the forms, wrote a former student. They came from surrounding areas like Air Panas, Setapak Gardens, Taman Ibukota, Kampung Pasir, Gombak, Sentul, Titiwangsa, Kg Loke Yew and the police training centre called Pulapol. Come 9 May, former students from the school will be catching up at a jordmela reunion at Gurdwara Sahih Pulapol, Kuala Lumpur [3.30pm-8.45pm-. “It would be an opportunity to re-establish connections and pay respects to teacher advisor Master Daljit Singh who has confirmed his attendance,” writes Manjit Singh in an email to Asia Samachar. Daljit Singh, fondly known as Master Ji within the Sikh circle in Malaysia, was a former teacher at the school and also a former jathedar of Sikh Naujawan Sabha Malaysia (SNSM). In the early 1970s, he wroted that some Sikh student leaders from the school saw the influence of other religious based school clubs such as the Scripture Union club on the young minds of the Sikh students. This led them to approach community leaders – the Late Master Amar Singh (B.A.B.T) and Master Daljit Singh (Kirby College, UK) – who were coincidentally teachers in Setapak High School. 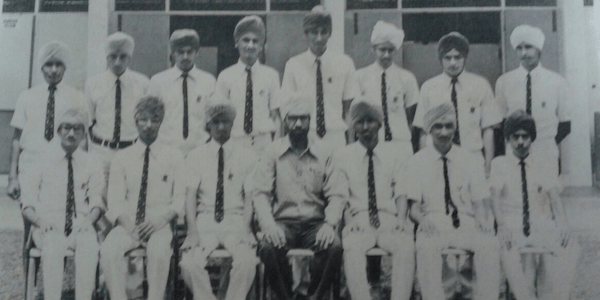 “With strong support from some parents particularly Mr Amrao Singh, approval was received from the school’s Parent Teacher Association and as a result, in 1974, the first school Sikh Society in the history of Malaysia was established in Setapak High School,” he wrote in a letter highlighting the up-coming programme. Brief memories of a very brief stint in Lower Six Science in 1971. Classmates were Dr Jaswant Singh, Dr Ranjit Singh and Ranjit Singh. And yes, Master ji.